Today, the Phillies (73-89) faced the Braves (79-83) in the season finale. The Phillies sent Cole Hamels (9-9 2.46 ERA) to the hill. Hamels took the loss in his last start versus the Marlins going seven innings giving up two runs, while striking out four. Hamels was opposed by Braves’ left-hander James Russell (0-2 2.97 ERA), who was making his first start since 2011. Russell has been very successful since coming over from the Cubs. With the Cubs, Russell was 0-2 with a 3.51 ERA; with the Braves he had a 2.22 ERA. 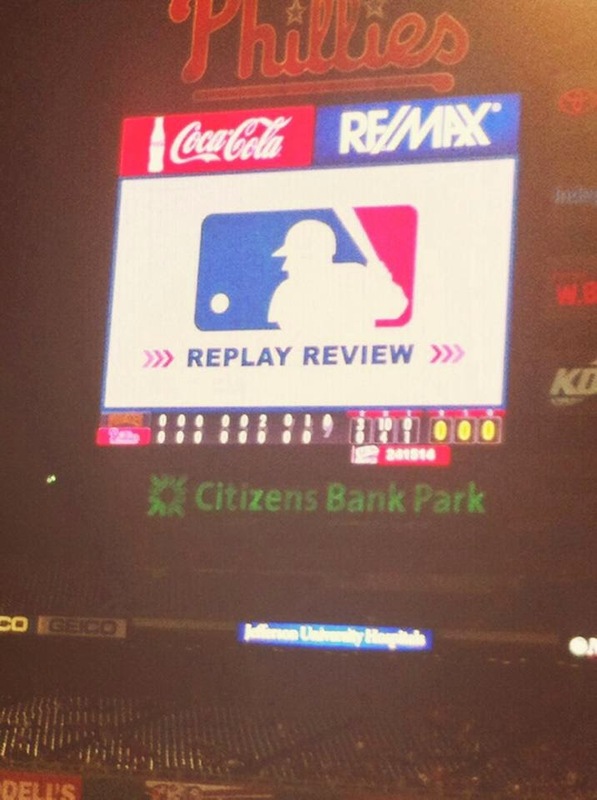 The Phillies would wait until the eighth to finally score their first run of the game. 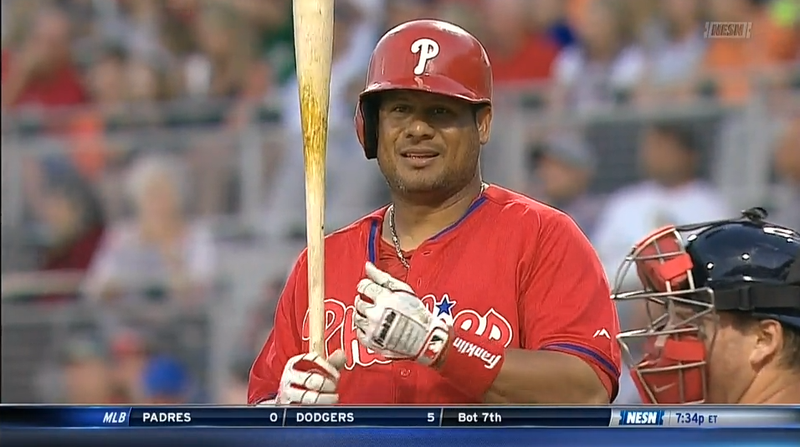 Freddy Galvis led off the inning with a single to center. Grady Sizemore followed with a single to put runners on the corners. Ben Revere grounded into a double play, but plated Freddy Galvis. 2-1 Braves That would be the final run the Phillies would score this season. Impact: The Phillies finished their season with a loss. With the loss, the Phillies ended a season to forget. If a record of 73-89, the Phillies’ dreadful season finally has come to an end. Through a season to forget, there were a few highs including a combined No-Hitter by Cole Hamels, Jake Diekman, Ken Giles, and Papelbon. Also, the emergence of a dominant bullpen with young guns, Justin De Fratus, Ken Giles, and Jake Diekman, the Phillies have bright future. With the rise of Cody Asche and Maikel Franco, the Phillies have started their slow transition to the next era of Phillies baseball. Up Next: With the close of their season, the Phillies enter the offseason with the seventh worst record in Major League Baseball. With many places for improvement around the diamond, the 2015 Phillies could look like a different team. The Phillies begin their six-month journey to rebuild the team and look toward the next season. The Phillies will open their 2015 season against the Boston Red Sox at Citizen’s Bank Park. Yesterday, the Phillies (73-88) took the loss versus the Braves (78-83) in what may have been A.J. Burnett's final start as a Phillie, and possibly in the Major Leagues. Burnett went six and third innings, giving up four runs on five hits. Ryan Howard had a big day at the plate, hitting his 23rd home run of the season and an RBI single at the plate. Following the start, Burnett stated that he will be get surgery to repair a hernia that has been bothering him since April. Today, the Phillies will send Cole Hamels (9-8 2.47 ERA) to the hill in final game of the season. Hamels lost his last start versus the Miami Marlins going seven innings giving up two runs on seven hits. Braves will counter with James Russell (0-2 3.19 ERA). Russell, normally a relief pitcher, only started five games in his career all coming in the 2011 season with the Cubs. With 39 saves on the season, Papelbon is just one shy of his second career 40-save season, but will fall short of his career high, 41, in 2008. Braves will finish with a losing record for the first time since 2008 and third time since 1991. 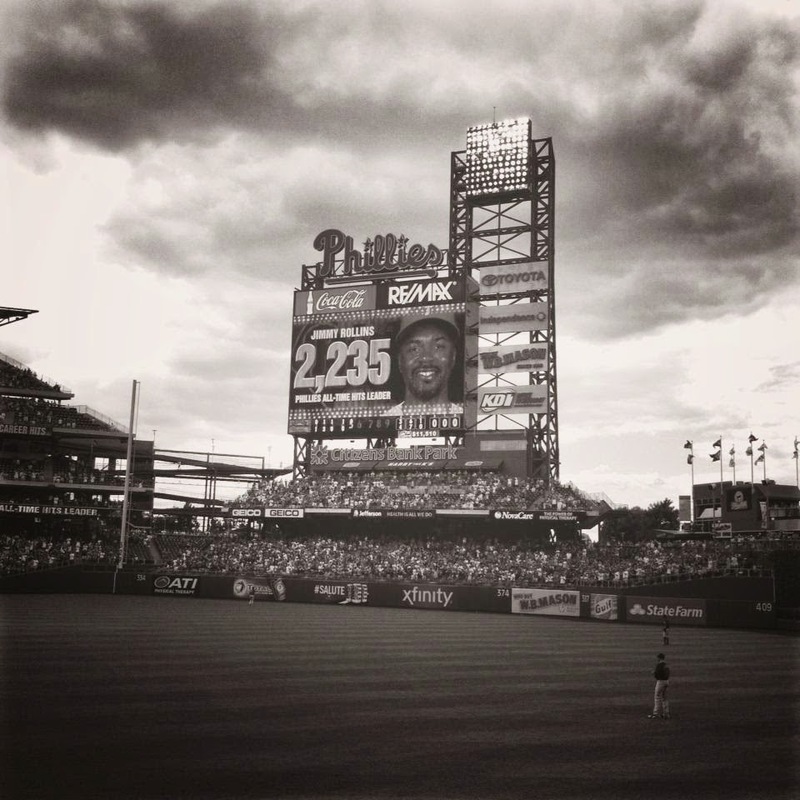 Jimmy Rollins will close the season still not in the starting lineup, after a hamstring injury. Andrew Shipotofsky is a Writer for Philliedelphia. 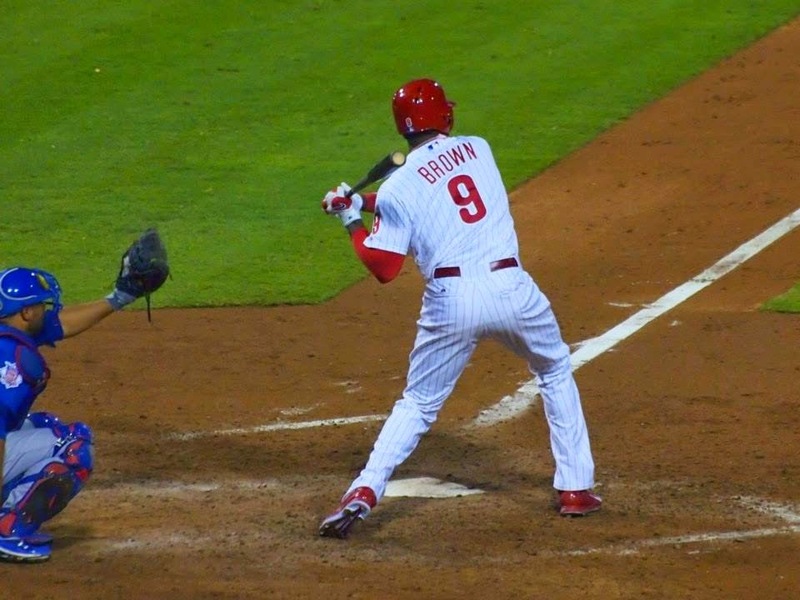 Despite some offensive help from Ryan Howard, as is the story for most of the season, things did not go well for A.J. Burnett who made the final start of his season and possibly his career last night. It notched his 18th loss this season which is the worst season in the loss column for the Phillies since Steve Carlton went 13-20 in 1973. Burnett struck out seven over 6.2 innings and pitched pretty well until allowing two runs in the 7th which ultimately clinched the 4-2 loss to the Braves. Now we await the news of if Burnett picks up his $12.75 million player option for next season. For what it's worth, while it was a miserable season results wise, Burnett was quite the work horse for the Phillies this season. He pitched 213.2 innings and made 34 starts which was his heaviest work load since his 2008 season with Toronto. He moved up to 43rd on the all time strike out list with 2370, which leaves him 26 shy of Sandy Koufax at 42nd. Will he or should he come back could be two different things. Most of his pressers would lead you to believe he would rather not go through what he went through this season again. However, even ballplayers would have a hard time walking away from $12.75 million in what would likely be their final season. He's certainly proven himself to be still durable. With Kyle Kendrick a free agent as well as Jerome Williams and the uncertainty about Miguel Alfredo Gonzalez and Aron Nola, it could very well be in the Phillies' best interest to see Burnett exercise his option. However the opposite could be true as well. Many of his starts this season felt like he was left in an inning too long. Despite his work load, he was clearly pitching hurt and he ran out of gas in a lot of outings. He walked a staggering 96 this season as well which is actually one shy of his career high in 2009 with the Yankees but was still far too many free passes. There's a case for and against Burnett in 2015. As the Phillies fans fire up the hot stove early again this year, it's certainly one of the topics of debate and definitely something to keep an eye on as we see a winter that seems to promise a lot of change.